1. Water saving- if your kitchen faucet is 2.5 gallons per minute at 60 psi water pressure and you use the kitchen faucet for 20 minutes per day that equals near 18k gallons per year on average. Sadly the cost of water is not as high as it should be to penalize you for this water use so the cost to you is not really that much. But if you have a "green" bone in your body you do not want to waste that much water. 2. Hygiene- especially during cold season the spread of germs is rampant and continued touching of the faucet by different family members is a great place to spread germs. Hands free prevents this. A unique and helpful hands free faucet perhaps not well known is the Tapmaster. The Tapmaster is non-electric hand free device instead using the power of water to make it work. It is an easy install for anyone with handyman/woman knowledge. Simply install a small pedal valve(provided) between floor and cabinet and then retrofit the stops for the faucet below your kitchen faucet with the hardware provided and you are in business. The Tapmaster is available in two styles. The traditional Tapmaster comes in chrome, black and white. The Euro Tapmaster is available in brushed nickel. The Euro version has a stylish look that many women enjoy. 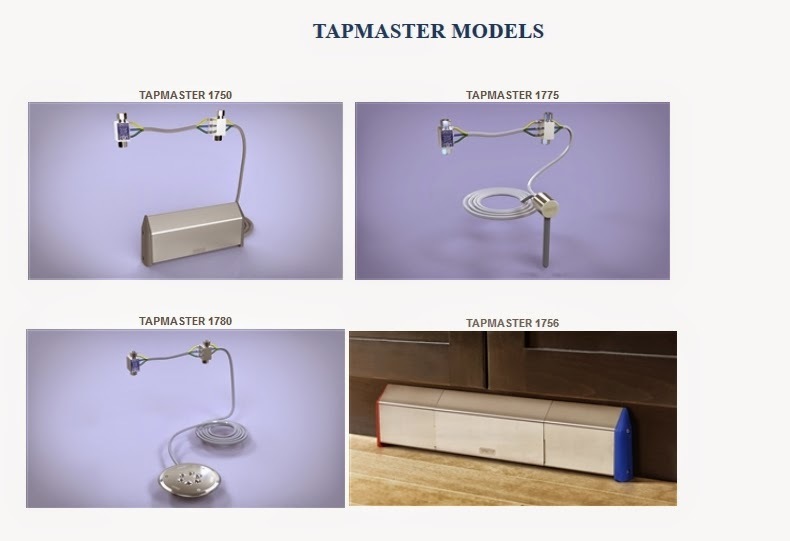 Visit our Tapmaster Central page where you can more information about the Tapmaster. I looked at this product too but decided to get the IZIFLOW system. It's a similar concept but half the price.